This page contains a list of items related to wine & beer. All these items are for trade. I am interested in swapping them against coins, used phonecards, or postally used stamps worldwide. If you are interested, please e-mail me; I am open to any offer. 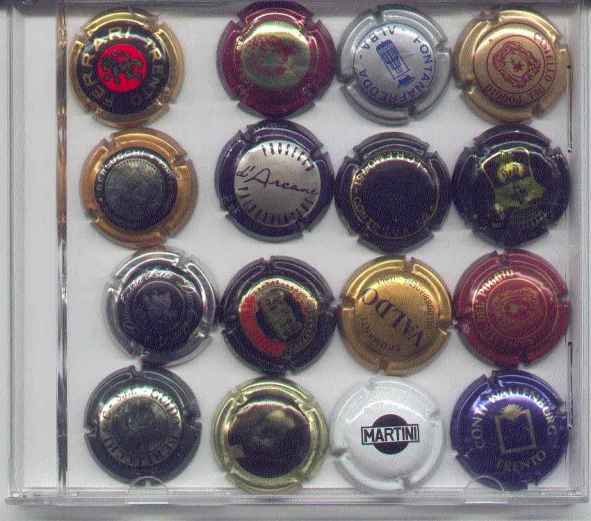 All of them come from Italian wine and spumante bottles. I have many wine labels, mainly from Italian wines. Ask for details or list. I also have beer labels and crows caps. Ask for details or list.